The Russo Brothers revealed why they decided to film Infinity War and Avengers 4 separately during a new Q&A session. The original plan was to shoot both movies at the same time, but the directors decided early on in the process to shoot them separately. After the wild success of Infinity War, Marvel Cinematic Universe fans have shifted their eyes to Avengers 4, which is still currently untitled as of this writing. A trailer is expected to drop before the end of the year. When it came time to get on the set for Infinity War and Avengers 4, the Russo Brothers still had the idea to shoot both projects at the same time. However, it became apparent right before filming that the initial plan was not going to work out. The directors revealed this information during a Q&A session last night at a special Infinity War screening in Los Angeles. One of the main reasons behind the first filming strategy is that it became apparent that both movies are very different from each other. Since the stories in Infinity War and Avengers 4 are so different, this led the Russo Brothers to rethink shooting both movies at the same time. It was originally believed that both sequels were going to be a two-part finish for the MCU's Phase 3. Since the two projects have two separate and complete storylines, the Russo Brothers decided against filming both at the same time out of respect to both projects, which was more than likely great news for the cast and crew when all was said and done. 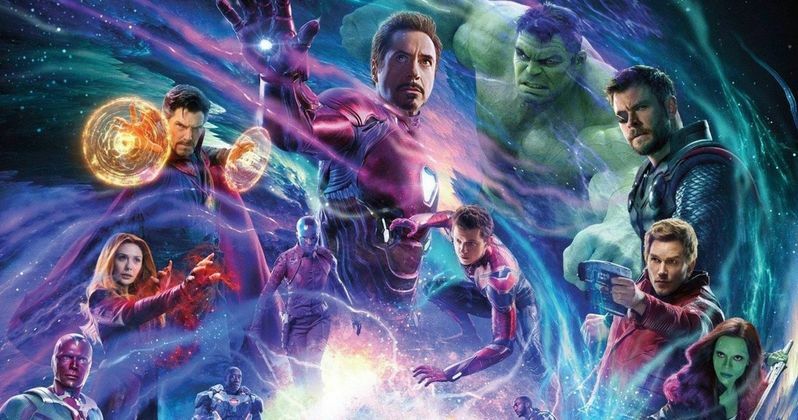 The Russo Brothers also stated that filming both sequels together was starting to confuse the crew as to which scene went to whichever movie they were filming that day, leading to a pre-production delay. The cast weren't ever given full scripts and were only handed pages for whatever they were set to film that day, which would have caused even more confusion as time went on. Infinity War left fans with a pretty major cliffhanger, that has sparked some pretty intense theories about Avengers 4 and how the story will be wrapped up, while Marvel Studios remains pretty quiet about the whole situation. Avengers 4 wrapped filming in January of 2017, which left room for the Russo Brothers to work on Infinity War and its eventual release in April of this year. Once the promotional tour for the last movie came to a close, the directors shifted focus back to Avengers 4, which wrapped reshoots in October. Since then, the directing duo have been hard at work inserting the new footage into a rough cut that they assembled over the summer as well as crafting the long-awaited first trailer for the sequel. While we don't know any specific parts about the story, some of the cast have noted that Avengers 4 is even darker than Infinity War. This information was relayed by the Slash Film Twitter account. Crew in production meetings were getting confused about what scene was in what film and it was hurting the prep.